This year marks the 50th anniversary of the signing of the Port Huron Statement, which was the founding document of Students for a Democratic Society (SDS). The PH Statement advocated for participatory democracy and helped launch the student movement of the 1960s. 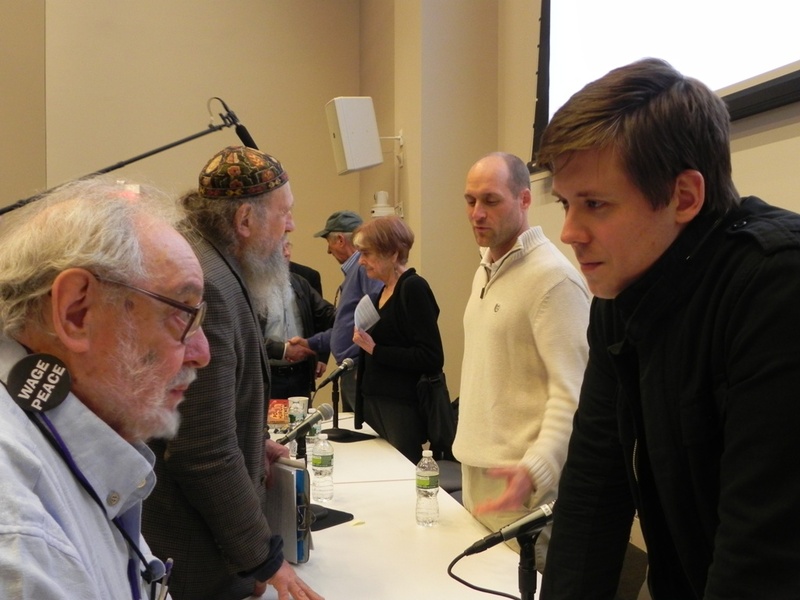 On April 12 and 13, a timely conference entitled “The Port Huron Statement @50” was held at the New York University campus, under the co-sponsorship of NYU and The Nation magazine. What follows are highlights of the discussion that ensued between the two generations of activists. The 60s activists agreed that not much progress has been made with the “system.” But Piven pointed out that there were great victories in the struggles for black freedom, anti-wars, and aid to the poor. Even though their agenda were not framed by the PH Statement, it had a significant influence on these struggles. Hayden reflected that differences among activists could have been handled more respectfully. He stated that Bill Ayers and Bernadine Dohrn acted as they did in the Weather Underground because they were convinced that they couldn’t wait for the politicians to bring about needed change. Committing violence is a desperate act, Hayden observed, and he regretted that he did not convey at the time that changes were around the corner. Noonan expressed no regrets for her activities, but wished she would have had nicer discussions with her parents. She said it is not so much a matter of change or not change, win or fail; what matters is that you stand up for your ideals. That drew a round of applause from the audience. An OWS woman said, “I put my personal life on hold” in order to work with OWS. But she was concerned about how to make OWS sustainable and grow. Noonan advised, “Join the people who suffer.” She said that people have been suffering for a long time. Now OWS talks about an awakening. OWS needs to connect with people who are suffering.” Piven felt that victory is also important because it gives the thrill of solidarity and achievement, propelling movement to move on. Following up on the question, an OWS man said that he quit his job to work at OWS. However, in order to support himself financially, he works for a non-profit organization. His job is phone banking to solicit money in support of politicians who are pushing to raise the minimum wage. This is in direct contradiction to one of the OWS’s ideas: Taking money out of politics. To him, his job is a “nightmare!” He questioned the relationship between electoral politics and mass protest movements. Piven was sympathetic and said, “Electoral politics is very corrupt. But it is there. You can’t wish it go away and the consequences are awful.” She understood that “Occupy shrinks from electoral politics,” but acknowledged that protest politics has a huge impact on public opinion, thereby affecting electoral politics. For example, OWS has successfully put the issue of extreme inequality into electoral politics. Hayden did not shy away from electoral politics and in fact he had served for 18 years as a California state senator. But OWS occupiers stressed “Electoral politics is only a band-aid. We need true large-scale change.” Hayden argued that it took 100 years of struggle for women to get their right to vote. How can we shy away from electoral politics? Outside of the conference hall, one immediately walked into the Washington Square Park, full of people, flowers and sunshine! How beautiful it would be if the conference were held right in that park. Video of the entire Port Huron Statement @50 conference will be posted on here. Nancy Tsou is a specialist on Asian volunteers in the Spanish Civil War.